This course meets the minimum requirements as set forth by the Connecticut Real Estate Commission and Department of Consumer Protection for application to take the sales associate exam. Students must attend 60 hours of class (20 sessions) per the State of Connecticut regulations. 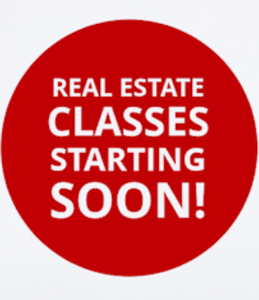 Led by Terry Hastings with guest instructors who are experienced, licensed brokers and sales associates. Terry Hastings has taught Real Estate Principles and Practices in Ridgefield for over ten years. He is now with Total Mortgage Services, LLC. In 2014 he received the Five Star Mortgage Professional Award from Connecticut Magazine. He was previously with Hamilton Ladd Home Loans and has over 20 years prior experience in Real Estate sales and management with Weichert, Realtors and Prudential, Fitzgerald & Hastings. Nick Davis is an experienced REALTOR®, now Brokerage Sales Manager of William Pitt Sotheby’s International Realty, previously with Weichert, Realtors. Lonnie Shapiro, GRI, CRS, Ridgefield REALTOR® for over 30 years, now with Coldwell Banker Residential Brokerage in Ridgefield, is the co-author of the Connecticut issue of How to Make Your REALTOR® Get You the Best Deal. 21 Sessions; 60-hour course (allows for 1 absence). Weather dates (hopefully none) will be added to the end of the session.